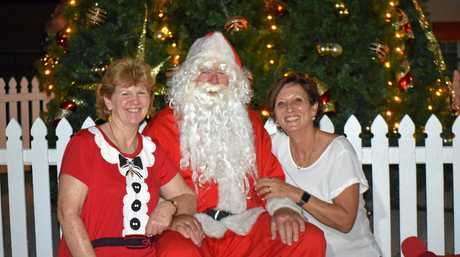 THE ENERGY of the Christmas season was in the air last night as the community of Gayndah came together for the annual Christmas tree lighting. Children enjoyed a visit from Santa, there were carols being sung and a ham wheel. Locals were even able to get a head start on their Christmas shopping with many of the shops remaining open. The lights will go on every night when the lights at the courthouse are turned on. The lights will continue to shine and glow brightly until the tree comes down in early January. The event wouldn't be possible without the support of the local community and organiser Dael Giddins acknowledged their support. 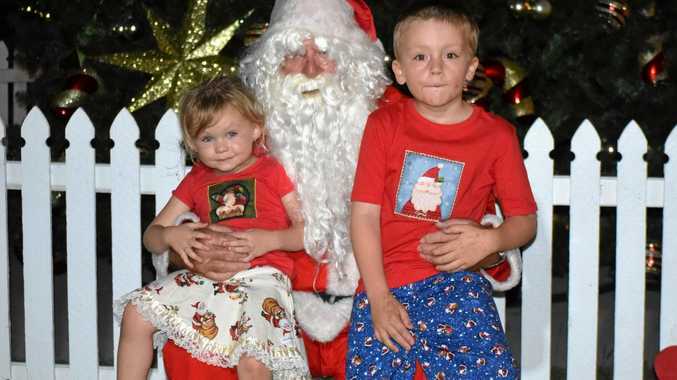 "I would also like to acknowledge Gayndah Rotary, Gayndah Lions, the Freemasons and Gayndah Development Association for their support in purchasing another set of lights,” she said. "Unfortunately these lights are not lasting too long and every year we have had to get a new set.